NYC, 05/10/2019, 1:00PM. 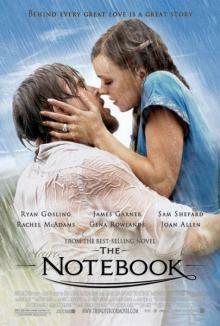 The Notebook (2004): Romantic Drama Two Passionate Lovers. 123 min. Director: Nick Cassavetes. Starring Gena Rowlands, James Garner, Rachel McAdams. The film grossed a total of $115,603,229 worldwide, $81,001,787 in Canada and the United States and $34,601,442 in other countries. It is the 15th highest-grossing romantic drama film of all time.